Astitva - Search for an Identity: Do we need 5,000 crore statue OR healthcare, sanitation and other primary services? Do we need 5,000 crore statue OR healthcare, sanitation and other primary services? In many Indian cities, traffic junctions are occupied by statues of various politicians. It doesn’t matter whether it’s in the east, west, north, south or central India. UP’s former CM, Mayavathi, took this mania to the next level by building colossal statues of her own and her leaders by diverting huge amounts of money from state budget. That too in a state where people are struggling for basic services like health, education and sanitation. Looks like Gujrat also got this mania. 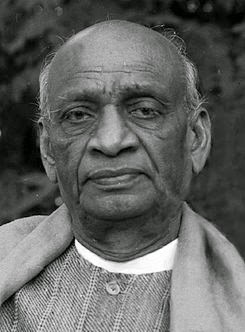 In the fast run to own Sardar Patel from Congress (which anyway hardly care about their non-Gandhi leaders of pre or post-independence era) Gujrat government is going to create probably the tallest statue in the world - Sardar Patel statue in Narmada dam. This statement came after the government allocated 200 crore in recent general budget for this project. The question is, does the government have the moral right to divert such huge amount of money to this project when the fate of thousands of displaced people are not fully settled? Why don’t allocate the same amount for compensatory forestation? Why don’t invest this money in India’s primary health care services or sanitation program and dedicate that program in the name of Sardar Patel. Why don’t build bridges, railway lines to connect villages and cities of India, and name the same after him? I strongly believe, Saradar Patel will be happier to see the money spend on a project which will benefit the nation and aid in nation building rather than creating a lifeless statue somewhere in the middle of water.